August is sneaking by and it is a bit of a frenzy to get as much of the seasons fruit as you can. Nothing says summer like watermelon. As I was cutting up watermelon for another road trip, I thought of all the ways to cut watermelon, everyone has their way. I wash first…never know where it’s been, even organic. I slice the bottom off, so it doesn’t roll and depending on how big it is, cut it in half and slice the rind off, then into chunks. I had quite the production going, chopped the scrap into small pieces and threw into the bucket for the compost (my under the sink Budweiser bucket, nice ;)), containers for the road and what didn’t fit, into a bowl for Tony. How do you slice your watermelon? 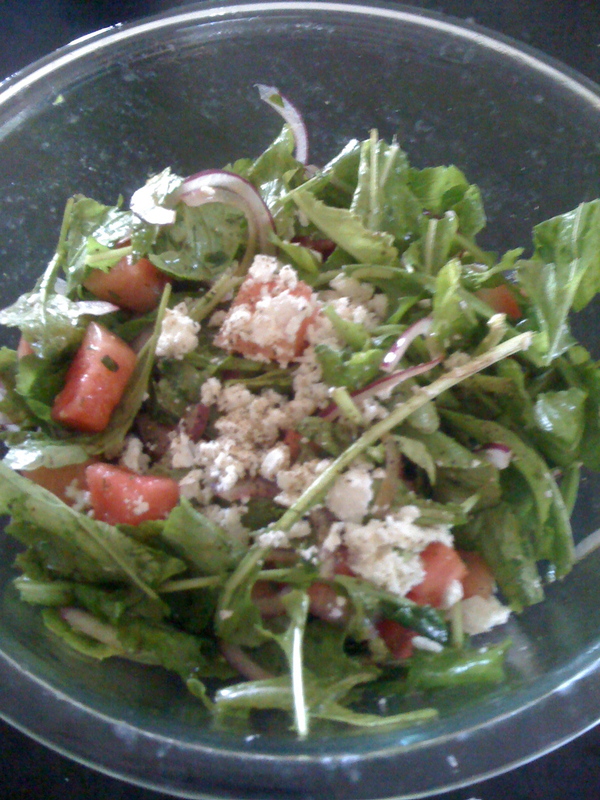 I had a fantastic watermelon salad at a great restaurant in Vegas last year. I hadn’t tried making a watermelon salad until a few weeks ago. I found a few in my books and they were all similar. I happen to be at my favourite farmers market, KFM, and at my usual tomato, cucumber and pepper stop, The Cucumber Man, they had fresh bags of arugula, ooooooohhhh. 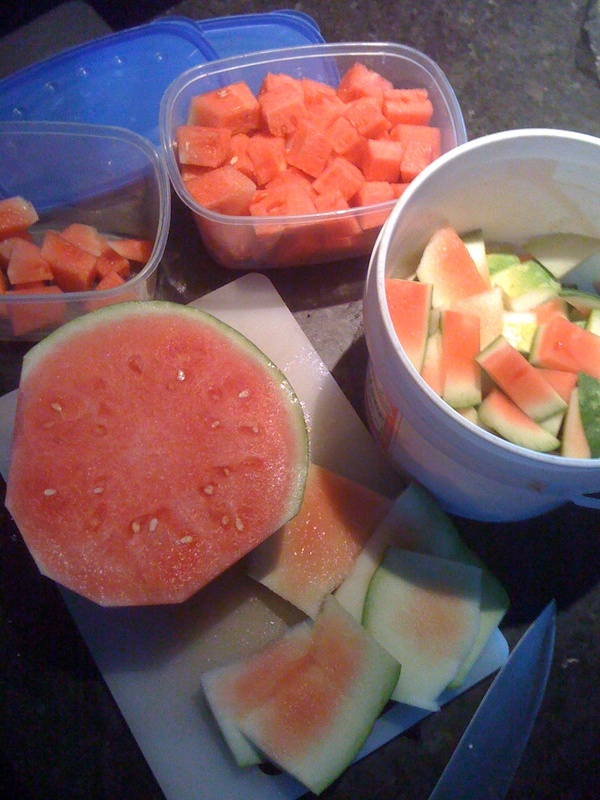 It was then it popped into my head I could make a watermelon salad. Done. I love cooking by the season and what I find at the market. Here’s the recipe, it is so good. Makes enough for two dinner size salads or four side salads. Whisk the vinegar, salt, pepper and olive oil together for the dressing. Toss the watermelon, oregano and onion into the dressing, careful not to break up the watermelon. You can chill this for a bit before mixing the rest. When you are ready to serve, gently toss the arugula with the dressing and watermelon, add the feta and more fresh cracked pepper. Enjoy.